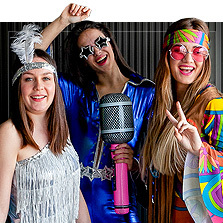 Show your more feminine and fun side with the selection of women’s costumes we’ve prepared for you. 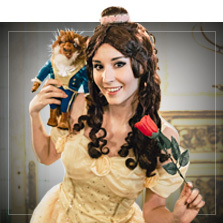 We know how hard it is to shop for costumes, so let us help you find a costume you’ll be thrilled with. 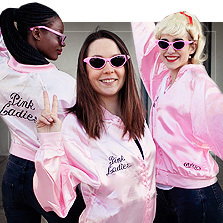 In our catalog, you’ll find a huge range of women’s– and girls’ costumes – to suit all themes and styles. Curvier figures will love our selection of plus size costumes for women in the most varied themes. If you’re looking for something that will help you unleash your more daring side, Funidelia has the sexiest costumes that will turn you into a true femme fatale. 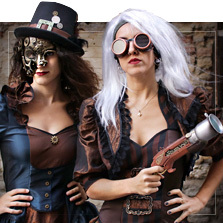 Find the Carnival costume for girls or the Halloween costume for women you've always wanted! 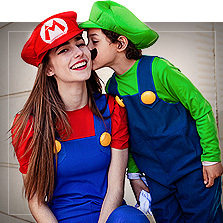 Whether you’re looking for women’s animal costumes or glamorous flapper costumes, Star Wars costumes or video game costumes, we have exactly what you're looking for. 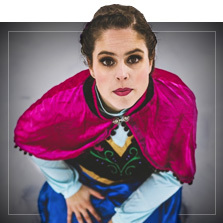 If you’ve always dreamed of being an enchanted princess, get ready to meet prince charming in one of our Disney Princess costumes. We have the perfect Elsa, Anna, Bella, Snow White, Cinderella and Ariel dresses! 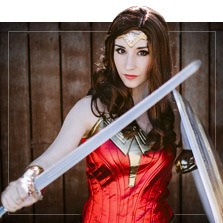 And for all of those warrior girls out there who love a good fight, discover the best superheroine costumes, as well as costumes for the most famous villains, such as Wonder Woman, Black Widow, Catwoman and Harley Quinn. 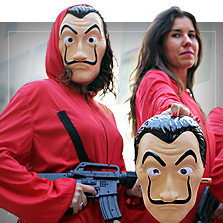 Choose your favorite costume for women and get ready to steal the spotlight!